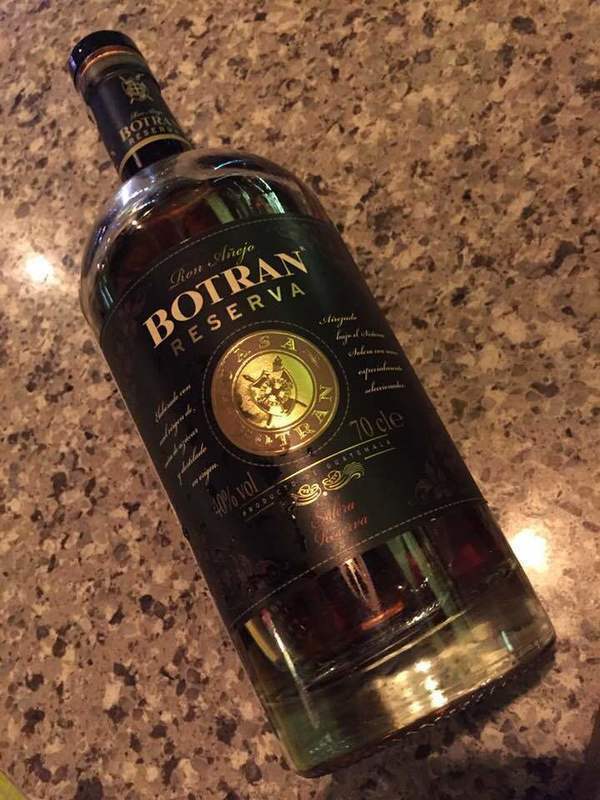 Have you found an online vendor selling Ron Botran Reserva? Color is good. Taste is fair. It could have used more time in the barrels. Another rum that proves you don't have to pay an arm and a leg for a great rum. I found this locally for $24 and after reading some reviews decided to give it a shot. Glad I did. This rum is produced by Industrias Licoreras de Guatemala, the same distillery that brings you Ron Zacapa. But make no mistake, this is not the just a cheap version of the sugary Zacapa. Wonderfully smooth, and just enough sweetness to compliment the play of flavors without over powering them with a syrupy, sugariness. According to other reviewers, it's coming in at a 0-5g sugar test. It mellows into a comfortable finish, with virtually no alcohol burn. I'm giving this an 8 based on quality and price. Will definitely buy again. If you are into sweet rums this is not the bottle for you. The tones are suddle and it goes down a little harsher than some sweeter rums. However, if you enjoy the rich oak flavor and like a well rounded rum without to much complexity than this might just be your bottle. If you find Zacapa 23 has good flavour but slightly on the sweet side, I believe Botran Reserva will be your rum! Charred wood with floral maple syrup. Pretty earthy with peppery, toffee and sweet baking spice (clove). Peppery and earthy on the first sip. Follow with oaky notes and chocolate truffle with touch of orange zest. Fruitiness of jackfruit, raisins and dates. Drier compare to other Guatemalan rum which when thru solera system too. Dry finishing, as if enjoying a piece of chocolate truffle with black pepper and coated with dark coco. Great balance from the bitterness, earthy and sweet flavours. upon initial tasting I did not like this rum at all, the taste and burn left something to be desired. However, I did enjoy it's smoothness. By the end of the bottle I grew to appreciate it's intricacies and would recommend to anyone looking to diversify their stock. Good rum tasting. Very interesting subtle vanilla aromas. Főleg a karamell és az aszalt gyümölcsök a dominánsak..talán még pici fahéj...olyan "klasszikus" rumos, alkoholos...kicsit unalmas !! I've been drinking rum for over 50 years, so i think my rum palate is as good as any. My preferred drink is Bacardi white with Coke no ice. Yet occasionally I'll try another brand for educational purposes only. I was delighted with this 15 year Botran's rich sweet molasses aroma, which lights up all your taste buds. I always use a mix; coke or eggnog. This is top quality rum. Tried the Ron Botran Reserva alongside the 15y Botran and they both have a healthy dark color, very similar smell profile, surprisingly strong coffee and oak taste and a bit of a kick at the end. 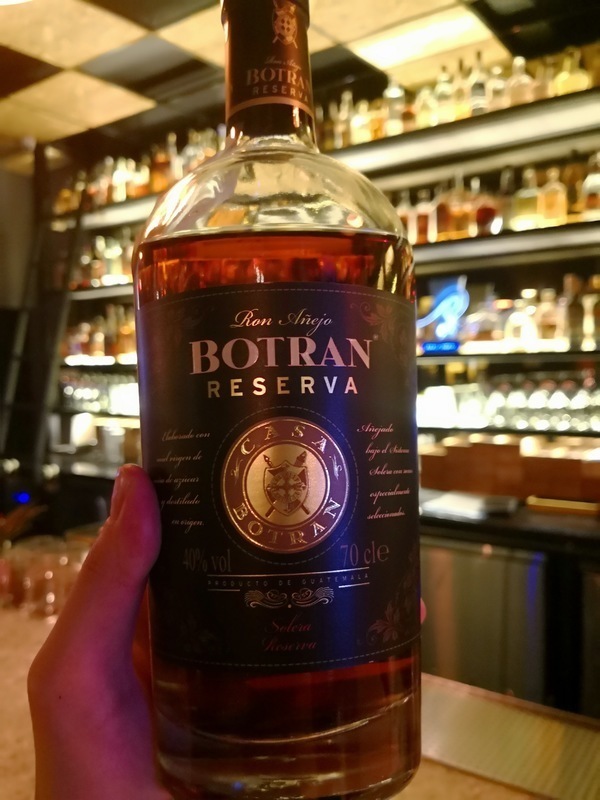 Botran Reserva somehow is a tad more expensive than the 15y Botran which is surprising since the Reserva is a blend of 4 to 14 year old rums. Not a bad choice at all. Was definitely worth the $40. Connected with my Rome visit, I appreciate the balance of taste, roughness and aroma. This is an ok rum i guess. Me personally I did not like it, not a fan of the taste at all, its almost like drinking really cheap liquor. I'll pass on this one. again one of the rums, that are suitable for a good quality Old Fashioned cocktail. The Botran Reserve is not a bad drop, neat. The nose is good, the initial taste is on par with faint burnt toffee notes but the after taste kills it for me. If RumRatings let me I would score it higher than a 7 but not by much. A step up from the 12 year anejo, if you ask me. Little more sweetness and flavor with less burn and funk. This rum can be enjoyed neat or mixed. Guatemala sure makes decent rums as is evident in this representation from Industrias Licoreras de Guatemala. Not as sweet as Zacapa! Pleasant and fruity. Overall well balanced with full body and decent aftertaste, that could have lasted a bit longer. Less Carmel than the Solera but I enjoyed savoring it and it was less sticky alcohol than the Solera. Pairs well w/light seafood. Dieser Ron bietet viel für sein Geld. In der Nase und Gaumen eine schöne süsse, Vanille und Karamell. Der Ausklang könnte länger sein (wie immer). Bevorzuge Ihn dem Solera 1893. This Ron offers plenty for his money. In the nose and palate a nice sweet, vanilla and caramel. The ending could be longer (as always). Prefer him to Solera 1893. Aftertaste has just the faintest molasses. Maybe a very small hint of oak. Mostly an antiseptic flavor unfortunately.